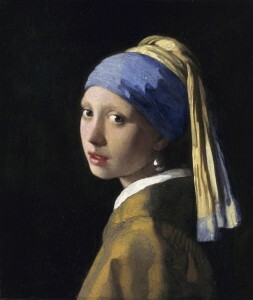 Johannes Vermeer’s masterpiece Girl with a Pearl Earring will be touring three museums in the United States next year. The last time the Girl was in the US was in 1995, when it was on display at Washington, D.C.’s National Gallery of Art along with all 20 other known works by the 17th century Dutch painter. That exhibition was a blockbuster success, but other works like View of Delft were considered the stars of the show. This time, she gets top billing above the likes of Rembrandt, probably because her popularity has skyrocketed since Tracy Chevalier’s eponymous novel was published in 2000 and the movie starring Scarlett Johansson as the model and Colin Firth as Vermeer hit theaters in 2003. The new exhibition, “Girl with a Pearl Earring: Dutch Paintings from the Mauritshuis,” features 35 important paintings by Dutch Golden Age masters including Vermeer, Rembrandt, Fans Hals and Jan Steen. The Royal Cabinet of Paintings Mauritshuis in The Hague is housed in a 17th century palace which will be undergoing a major two-year renovation and expansion. It will close on April 1st and move its entire permanent collection to the Gemeentemuseum, also in The Hague. The Mauritshuis collection will be on display there in its entirety from April 28, 2012 to May 28, 2012, and then the Girl with a Pearl Earring and her 34 escorts will begin touring the world. First they’ll go to Japan, from July until mid-September at the Tokyo Metropolitan Art Museum, then on to Kobe’s City Art Museum until January 2013. Their first stop in the United States will be the de Young Museum of San Francisco where they’ll be on display from January 26, 2013 to June 2, 2013. Next up will be the High Museum of Art, Atlanta, which will host the exhibition between June 22, 2013 and September 29, 2013. This will be the first time Girl with a Pearl Earring has ever been seen in the southeast United States, so it will give a great many people a unique opportunity to see her in person. The last stop on the US itinerary is the The Frick Collection in New York City from October 22, 2013 to January 12, 2014. After that the works head home to the Netherlands. 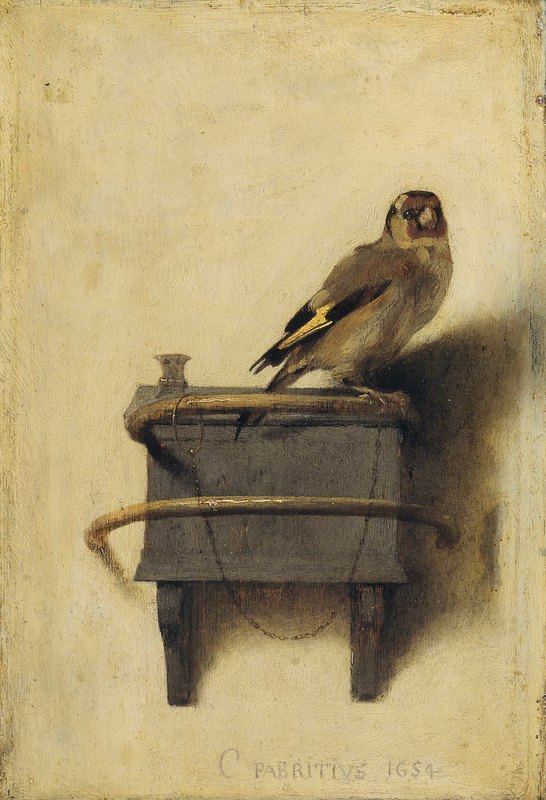 They will be back on display at the newly expanded and renovated Mauritshuis by mid-year. Through landscapes and portraits, the exhibition will explore the idea that Dutch artists more readily embraced genre paintings of secular subjects than their southern European contemporaries and focused on capturing commonplace scenes of daily life. Dutch artists not only recorded representations of the domestic interior, still lifes and revelrous crowds, but often imbued these scenes with moral undertones and humorous, sarcastic wit. Key paintings featured in the exhibition include: Johannes Vermeer, “Girl with a Pearl Earring,” ca. 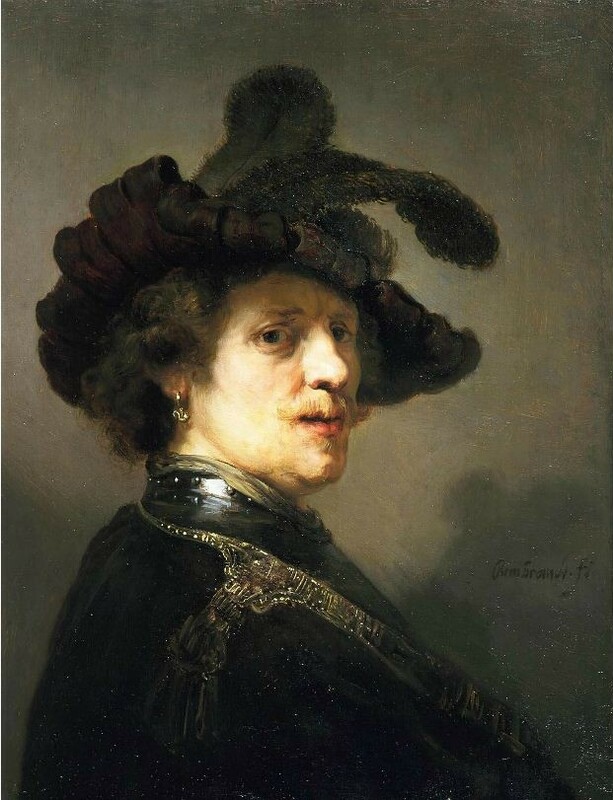 1665, Carel Fabritius, “Goldfinch,” 1654, Rembrandt van Rijn, “‘Tronie’ of a Man with a Feathered Beret,” ca. 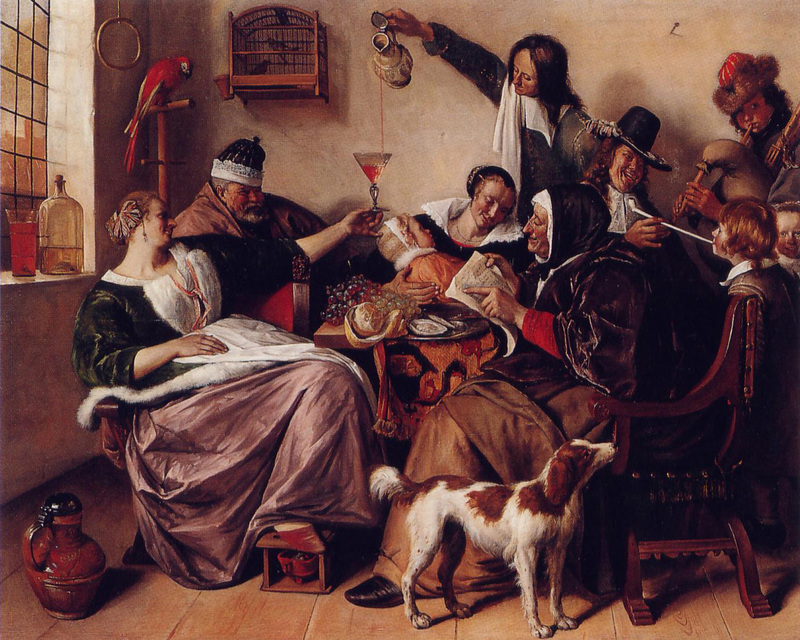 1635, Jan Steen, “The Way You Hear It, Is The Way You Sing It,” ca. 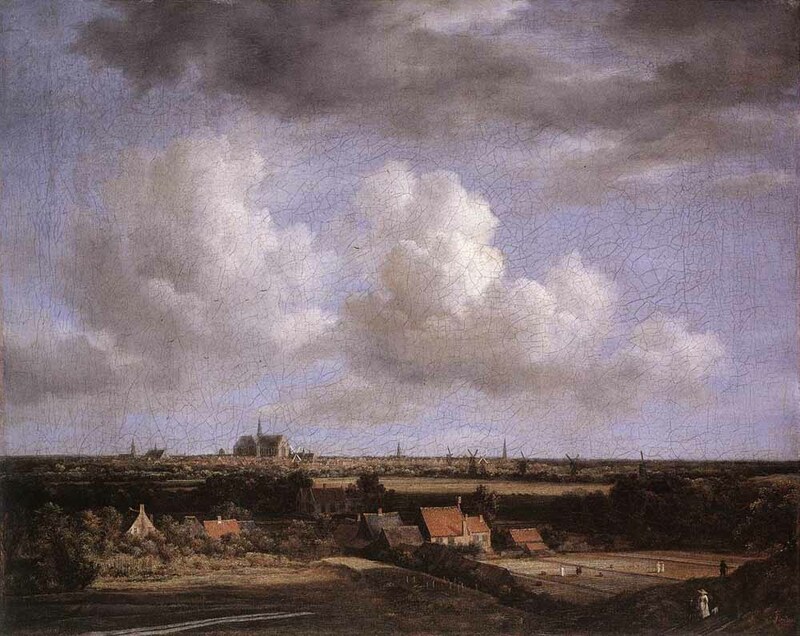 1665, Jacob van Ruisdael, “View of Haarlem with Bleaching Grounds,” 1670–1675. This entry was posted on Saturday, January 28th, 2012 at 11:59 PM	and is filed under Modern(ish), Museums. You can follow any responses to this entry through the RSS 2.0 feed. You can skip to the end and leave a response. Pinging is currently not allowed. Thanks for this! I have a goal to see all of the Vermeers (I have seen the Mauritshuis painting, but it’ll be good to see this again.) And of course the other items are all first-rate too. That is a noble goal indeed. You must be glad you missed the National Gallery exhibit in ’95, then, because your goal would have been achieved in one fell swoop, and that’s no fun at all. Among specialists in Dutch paiuting, I have heard the term “Mauritshuis quality” used to mean “the absolute best, in terrific condition”. In that regard, the Frick is a natural stop. But the Atlantans, the San Franciscans and a lot of Japanese should prepare themselves for one hell of an experience. 35 Mauritshuis pictures are a lot of art! I know, right? The High has made a number of exceptional scores over the past few years. I think their official partnership with the Louvre opened a lot of doors for them. David Emery, you wouldn’t happen to have a serious interest in Urban Legends and writing ABOUT them would you? I love this picture, and I love the earrings that she wear. I have a reproduction of these pretty earrings in my store of Madrid. Hey would you mind letting me know which webhost you’re utilizing? I’ve loaded your blog in 3 completely different web browsers and I must say this blog loads a lot faster then most. Can you suggest a good internet hosting provider at a honest price? Thank you,I appreciate it! I use Urljet‘s shared hosting. Excellent value for money. This is my goal also! I am so excited for this exhibit.